Good evening everyone. I'm back with some Treat Bags. The school Corbin attend is very sensitive to offending someone that they barely allow the children to celebrate any traditional holidays. Trying to make something that will be okay is very hard. I decided to make one for boys and one for girls. I think they turned out cute. What do you think? HIMCR #118 - Halloween Colors! 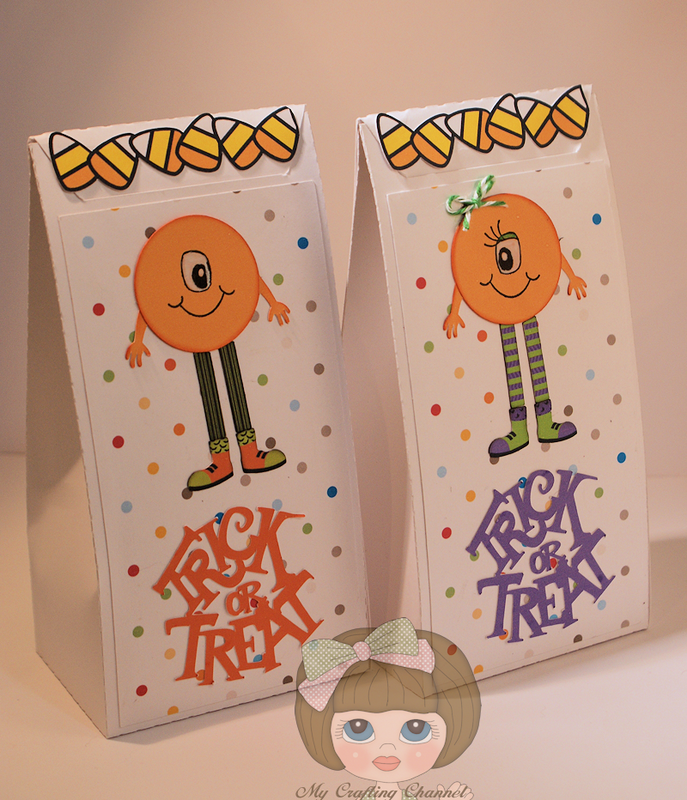 My Craft Spot Monday Challenge #114 - Trick-or-Treat! MFP SpeedyTV Challenge "Paper Bag Embossing"
These look so cute. I am sure they are going to be fine and will be enjoyed. Thanks for joining us this week at TTSTV. Great treat bags, thanks for joining us on TTSTV this week! These little bags are so stinkin' cute. Thanks for joining us this week at HIMCR. These are fabulous Nana I love your one eyed monsters!! I'm working on a one eyed monster craft now too! absolutely love these he/she bags Nana! Absolutely adorable!! Those one eyed monsters are so cute!! Fun, fun, fun!! TOTALLY cute & Fun!!! One for Corbin & one for me...LOL! I sure don't see how these little cuties could possibly offend anyone! They are totally adorable and I'm sure they will pass the test. Bet the kids will love these fun little bags! These are cute. Thank you so much for joining us at Craftin Desert Divas “Anything With A Senitment“ Linky Party. Love em'! Just adorable little treat bags! These are such fun treat bags! What a fantastic way to share some Halloween goodies!! These bags are so cute! Love the border! Thanks for joining us at My Craft Spot this week!